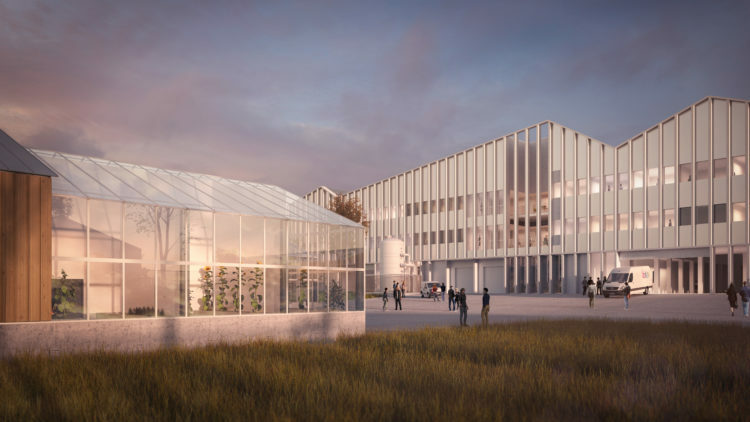 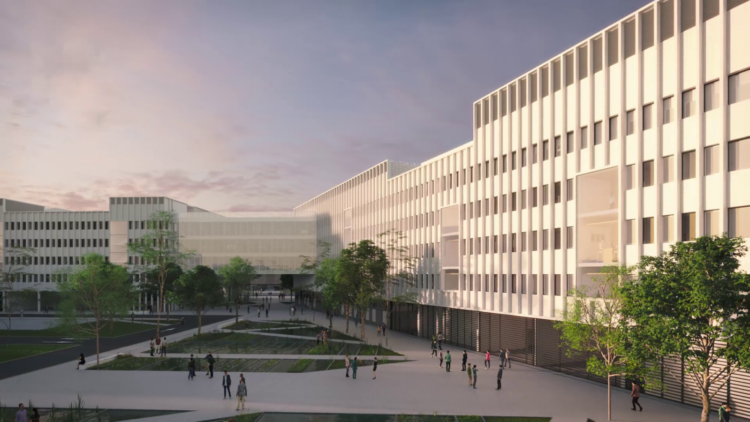 This project scheduled to open in April 2022, is one of the most important universities building sites in France with about 85,000 m² of surface area, divided into two strategic sites on the Plateau de Saclay. 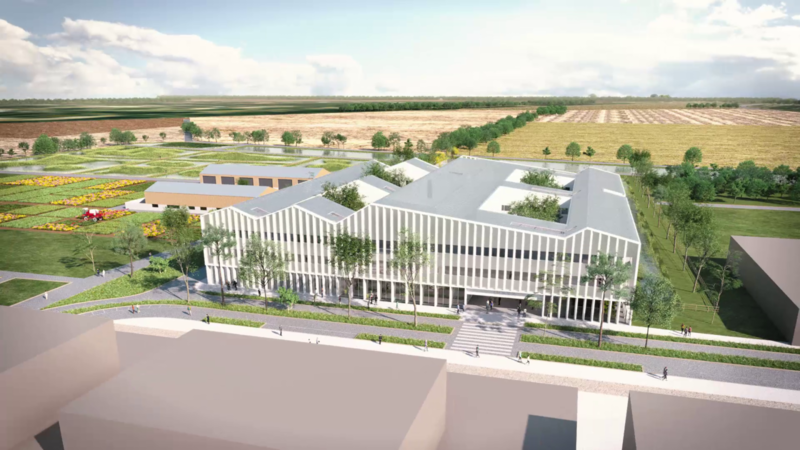 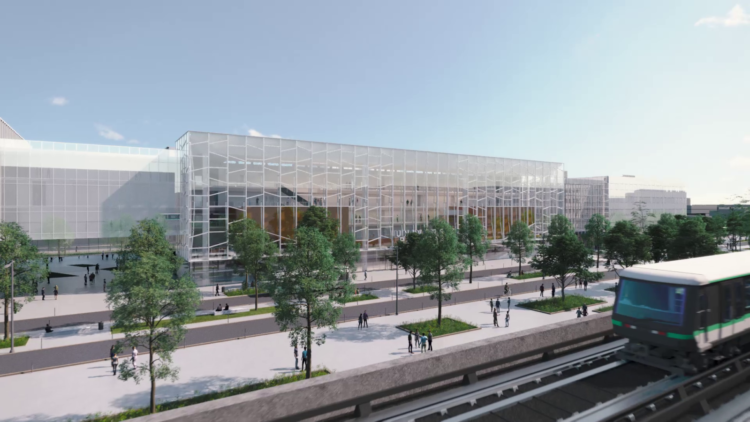 The Métro site, created by Bernard Tschumi Urbanistes Architectes (for the heart of complex and the teaching component) and Groupe-6 (for the research component) will host the Faculty of Pharmacy, the Institute of Molecular Chemistry and Materials, and the Masters of Biology and Chemistry. 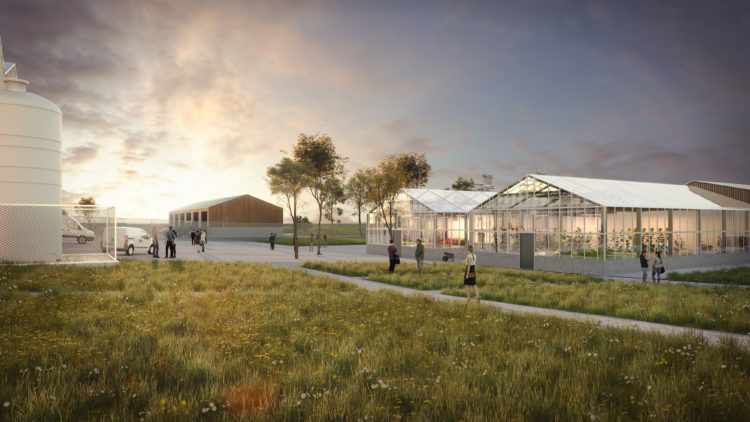 The IDEEV site, designed by Baumschlager Eberle Architekten on the edge of the great landscape, will host the the Institute Diversity Ecology and Living Evolution.